Size: approx. 7 mm. Photo: 04/08/15, 10 pm. 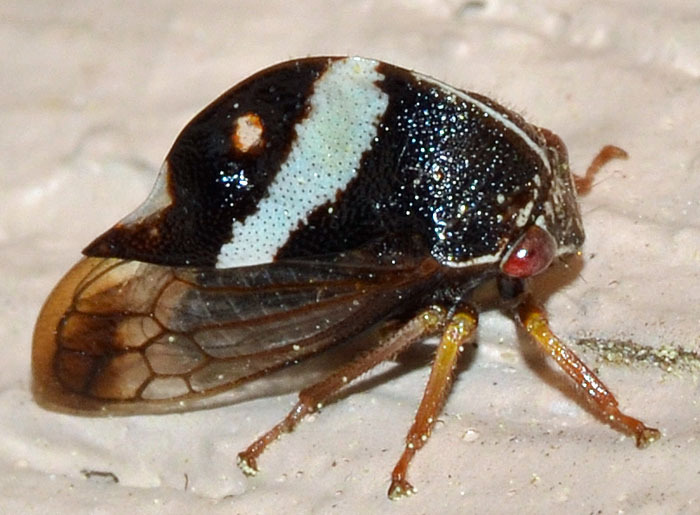 Smilia fasciata is a common treehoper in the Southeast. The characteristic stripe can have a green color. Adult males are darker and have a lower crest than the females. In general, the crest is more rounded than in S. camelus.